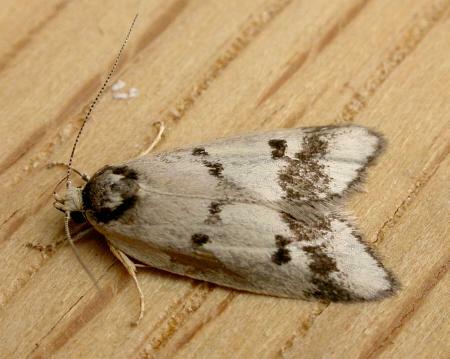 The adult moth has white forewings, each with a dark spot near the middle, and two dark brown stripes, one broad and one narrow. The hindwings are yellow. The wingspan is about 2 cms. CSIRO Publishing, Melbourne 1994, pp. 360-364. Volume 8 (1884), p. 512.